Introduction. Mechanics of Single Molecules and Single Proteins. Nucleus Mechanics. Nanoscale Imaging and Modeling. Cell-substrate Interactions. Axonal Transport and Neuromechanics. Implications for Disease - Valvular Fibrosis and the Myofibroblast. Index. References. 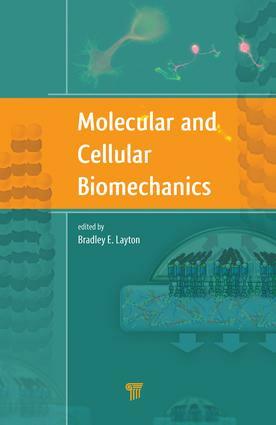 Bradley E. Layton is associate professor in the Applied Computing and Engineering Technology Department and an affiliated faculty in the Biophysics and Biochemistry Program at the University of Montana, USA. He earned his PhD in biomedical engineering and MS in mechanical engineering at the University of Michigan, USA. He also holds an SB in mechanical engineering from the Massachusetts Institute of Technology, USA, and a Professional Engineer's license. Prof. Layton is an editor for the Institute of Electrical Engineering and Electronics and Engineering in Medicine and Biology Society, and a member of the American Society of Mechanical Engineering and the Order of the Engineer. He is an avid bicycle builder, cyclist, kayaker, and a former member of the United States National Rowing Team. He lives with his wife and two children in the Rattlesnake Valley in Missoula, Montana.